The price of bitcoin plummeted after a major hack... on another cryptocurrency. If you had a lot of money in cryptocurrency, you didn’t have a great weekend. In two brief days, bitcoin’s value dropped 10 percent; ethereum, ripple, and bitcoin cash fell more than 11 percent; and EOS dropped 20 percent. What the hell happened, you may be asking? Well, a major hack hit Coinrail, a South Korea-based crypto exchange, and the person behind it stole about $40 million USD, according to The Wall Street Journal. Coinrail is now offline. According to its website, 70 percent of all the cryptocurrency tokens on the exchange have been secured, stored and inaccessible in a cold wallet (a cryptocurrency wallet that is safely disconnected from the internet). The South Korean police is investigating the hack and has already recovered or frozen about 80 percent of the money stolen in the hack. But there’s no indication when the investigation will conclude. This in itself isn’t all that surprising — crypto hacks do, unfortunately, happen. What is surprising is that this hack has created a chilling effect on prices of other cryptocurrencies. Sure, $40 million is nothing to sneeze at, but the hack didn’t even impact bitcoin. And yet, investors have jumped ship, causing bitcoin prices to drop, along with those of the other cryptocurrencies that plummeted this weekend. Coinrail is not, comparatively speaking, a big fish in the cryptocurrency world. As The Wall Street Journal mentioned, Coinrail comes in around number 100 on a list of the world’s largest cryptocurrency exchanges. But this attack seems to have spooked investors more than others. Perhaps they are more skittish now, more inclined to cover their bases lest they be hit by a future cyberattack. Because it’s unclear how anything can affect anything else in such an unpredictable, illogical, unregulated space, investors look to any small signs of what’s going on in the entire space as an indication for what might happen to their own investments, even if it’s in a different cryptocurrency. 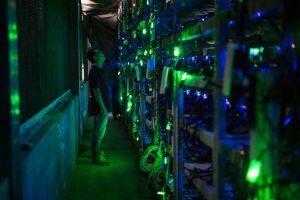 It’s unclear whether investors will regain their confidence in the market if the remaining stolen cryptocurrency is recovered, or if hacks like this one will cause a longer-lasting downturn. But crypto exchanges should take note and build up their cybersecurity preemptively to prevent a similar chilling effect among their own investors.